Feel the true escape from noise and pollution with Burooj Properties. Experience a real escapade with the sea and clean environment. Enjoy jam-packed activities that will make you physically fit with the swimming pool, sauna and fully-equipped gym facilities available. Eat mouth-watering food in the nearby restaurants and gourmet shops nearby. Be satisfied on the full service and attention only Burooj can give. This two-bedroom unit with a size of 134.7 square meters is still under construction. Reserve for a slot now and experience a great life with Burooj Properties! Price starts at BHD 92,817. 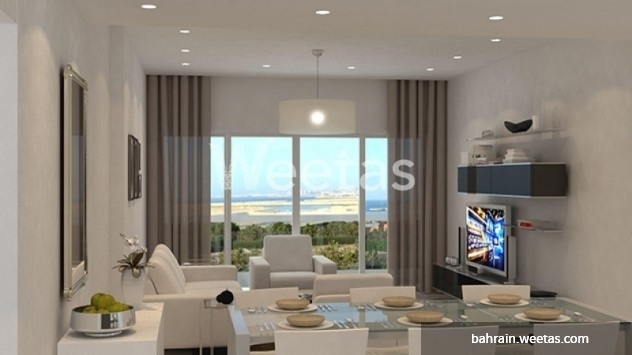 This property costs 0.5% more than the average 2 Bedrooms Apartments in Amwaj Island area.